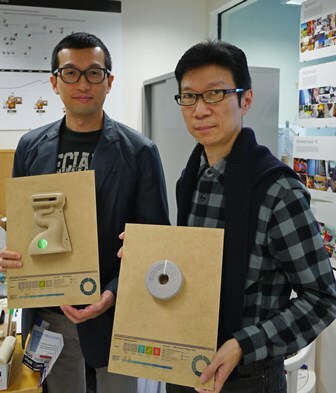 PolyU’s School of Design has been taking a steering role in driving sustainability, upcycling and related design applications in Hong Kong and Asia for many years. Its recent establishment of the Regional Eco-material Archive, a project steered by Mr Benny Leong and Mr Brian Lee, adheres to this commitment and successfully cultivates ‘eco-conscious’ students. Concepts like Design for Sustainability, eco-material-driven design, eco-design strategies may appear foreign in the eyes of an ordinary citizen of the territory, but they occupy an indispensable role in formulating the academic programme of PolyU’s product design discipline. This is being manifested by the establishment of the Regional Eco-material Archive by PolyU’s School of Design, which is initiated and steered by two faculty members Mr Benny Leong and Mr Brian Lee. Currently being displayed in School of Design’s Material Resource Center (MRC), Regional Eco-material Archive is the first of its kind in Hong Kong and probably in China with an objective of enabling students with the know-how about local eco-material resources. “Our students have comprehensive access to abundant examples of design cases and material resources done at overseas. What we want to do is to establish a truly ‘local’ and ‘eco’ material resources archive. Our students will then be given the authentic and first-hand experience of these eco-materials and to erect a deeper understanding of them. We envision that students in the long run will be encouraged to make use of local and environmentally-friendly materials in their designs, and be more aware of how these materials and their finished products may impact our consumption behavior and also the environment,” said Benny. This archive is more than merely a showcase of materials and information. Benny and Brian collected over 40 selective regional eco-materials and classified them with their unique ‘Materials Index’ which includes naming, category, composition, location, certification and lifecycle nature. What’s more, a carefully documented handbook was produced which provides related case studies and elaboration on concepts like Design for Environment and lifecycle thinking. Heavy research work was carried out in the making of this archive. Design students by referring to it can learn more about different types of eco-materials and their geography specificity such as their places of origin, production and supply, and also contacts of the manufacturers or production plants. This archive is therefore a reliable teaching tool for teachers and simultaneously a handy application for students since it offers real samples, real cases and a bridge to relevant stakeholders of the same industry and discipline. “Students can now ‘visualize’, physically touch and identify selective regional eco-materials based on our categorization and these solid samples will much strengthen their learning. We receive very good feedback from students and they are now more inclined to think that regional eco-materials can be some good options for their design, and eco-materials are a more sustainable and better alternative to other commonly-used materials,” Brian supplemented. Items being collected in this archive range from natural and synthetic eco-materials to finished products such as iPhone Speaker made of recycled paper and upcycled newspapers clutches. They are all categorized by the Material Index System which provides comprehensive information about the material or the product. By reading the index card below the material/product, one will be able to know whether it is ‘metals & alloys’, ‘glasses & ceramics’, ‘polymers’, ‘biological materials’ or ‘composites’ as well as its source location and fabrication location using Hong Kong as the base spot. More importantly, a ‘life-cycle’ indexing is provided to show how far is this material/product being defined in terms of ‘natural’, ‘renewable’, ‘recyclable’, ‘recycled’ and ‘degradable’. All information being shown is clear, concise and easy to comprehend. They encountered much difficulty in establishing this archive. They spent more time and efforts than originally anticipated in researching into each material and product, and some suppliers, designers or manufacturers were unable to provide sufficient background information to aid their indexing. Yet they still moved on to put all the pieces together and the archive was applied in teaching since the summer of 2015. Benny and Brian aimed to include more items in the long run with more funding support as they believe this archive can be extended to serve students of other disciplines and professionals of the same field as well as existing PolyU design students. 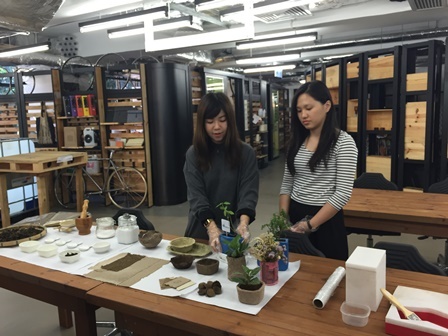 PolyU has been taking a steering role in driving upcycling and related design applications in Hong Kong and Asia for over 15 years, while the Regional Eco-material Archive is one of its many initiatives of supporting the teaching of Design of Sustainability. Its faculty members, students and graduates are collaborating with various commercial corporations, NGOs or organizations sharing the same vision to actively promote concepts of sustainability to the public. Witnessed by Benny and Brian, students and graduates are becoming more and more ‘eco-conscious’ and are keen to put this into practice. Some PolyU graduates have established themselves as successful upcycling product designers in Hong Kong with a viable business model. Benny and Brian held the belief that more can be done, especially in educating the public and re-shaping their daily behavior and consumption pattern. 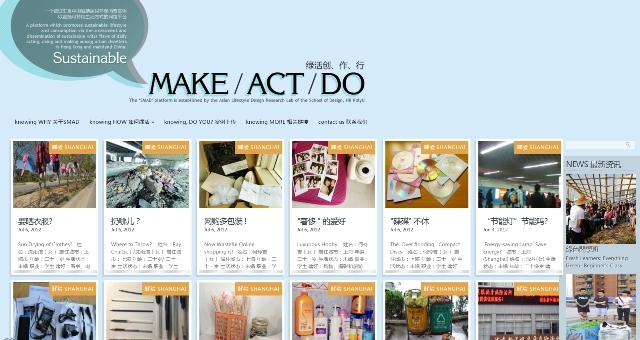 They are currently involved in another project named the SMAD platform (http://www.sd.polyu.edu.hk/sldi/), which is an acronym of “Sustainable MAKE, ACT, DO” platform. It is an online platform which aims to promote and stimulate social-wide change towards green consumption and lifestyle through dissemination of sharing of sustainable wits or flaws of daily life among urban dwellers in Hong Kong and the Mainland China. This free platform invites contributions of articles and data from the public and is a communication channel for them to share what they know about leading a sustainable life, which in turn influences and motivates more people to go green. You may have heard of a farming site at the Podium of Shaw Amenities Building (Block VA) but not aware of its name. 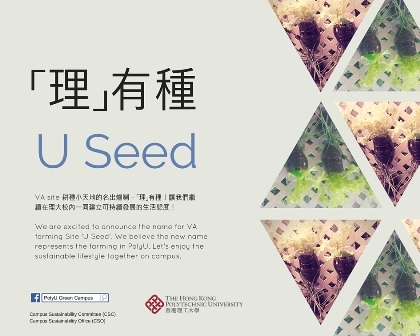 The Campus Sustainability Committee and Campus Sustainability Office recently ran a contest inviting for naming ideas for this VA farming site which was followed by an online poll at PolyU Green Campus Facebook page (https://www.facebook.com/polyugreencampus/) to look for the most preferred name. Impressive responses were received and finally ‘U Seed (「理」有種) was chosen to represent the farming site. Be a guest at ‘U Seed’ when you are free! Irritating conditions in Cross Harbour Tunnel vicinity have persisted for long. Heavily-loaded tunnel, poor air quality, overloaded footbridge, poor connectivity within the district and lack of open space are all undesirable. PolyU has thus proposed the construction of a Green Deck over the Cross Harbour Tunnel plaza to tackle all these problems. 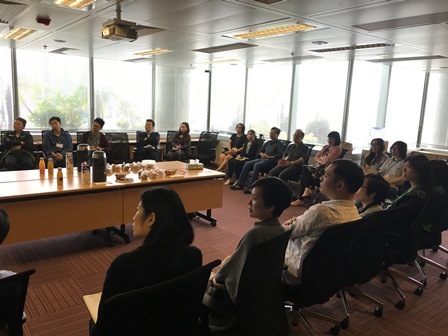 In order to solicit views from various stakeholders, PolyU organized a conference on Green Deck at the Jockey Club Innovation Tower on 14 December 2015. 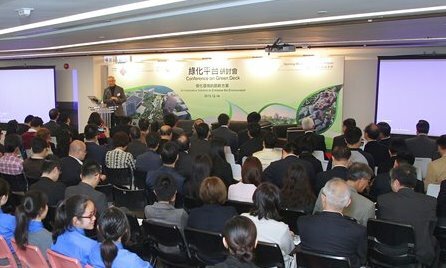 District Councillors, guest speakers across construction and urban planning disciplines, academia and residents of the Hung Hom District exchanged their opinion and also explored how this idea can be realized to benefit the community as well as to enhance the environment. The proposed 43,000 square meters Green Deck area linking MTR Hung Hom Station podium and PolyU campus can be used to provide more green space and accommodate a wide variety of recreational, cultural and sports facilities. 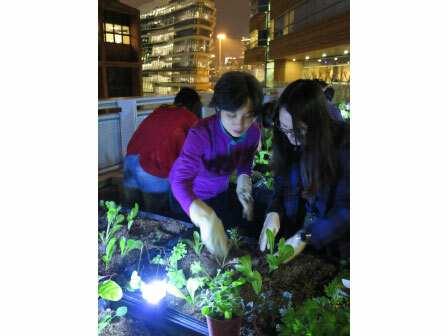 You can find more information about the “Green Deck” project from the dedicated website at http://www.polyu.edu.hk/cpa/greendeck/. 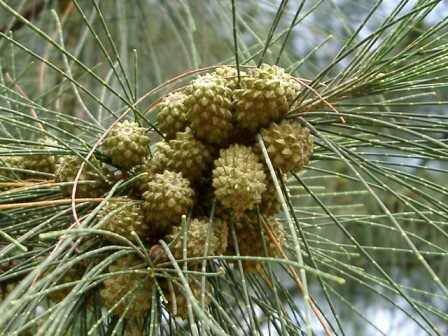 Casuarina equisetifolia is an evergreen tree with a soft wispy pine-like appearance, cone-like fruits and pine-needle-like leaves. 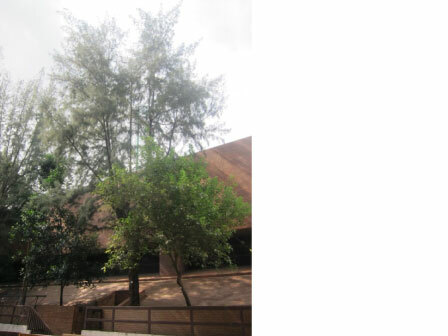 It has reddish brown to grey, rough, brittle and peeling bark. You can find its flowers from April to July and the fruit from August to October. Apart from being commonly used as timber, fuel and medicine, it can be also used for erosion control on coastal sands. Have you ever noticed a new fancy machine on the second floor of Block Z recently? 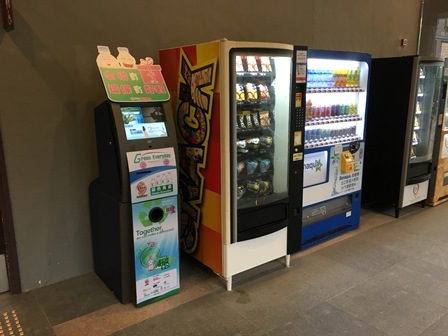 This is the new Recycling Vending Machine to collect plastic beverage bottles for recycling, and is a new member to the existing PolyU’s family of waste separation bins. 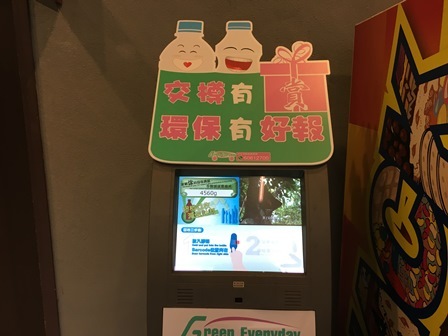 Upon dropping used bottles into this new machine, coupons of local retailers selling fresh products will be rewarded. Everyone is welcome to make good use of it and there are three others alike at the podium of Li Ka Shing Tower, Lee Shau Kee Building and Shaw Amenities Building. ‘Live green’ can be merely an empty slogan if you don’t put into practice. 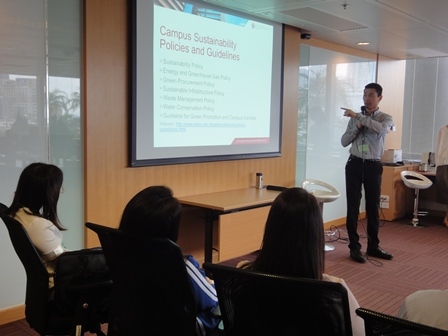 The Campus Sustainability Office thus deliberately designed an interesting and ‘green-fulfilling’ farming programme in the campus for PolyU staff and students, and its first phase was launched in November 2015. 20 groups of PolyU beginning farmers were trained to grow organic produce at a farming site on 6/F of Lee Shau Kee Building (Y). Four workshops were delivered to empower the farmers with the knowledge and skills to plant and nurture different organic vegetables, herbs and fruits. In around two months’ time they succeeded in cultivating 15 types of seasonal plants and they much enjoyed their tasty harvest! The current phase will last until end January 2016 and the next phase is coming soon. Stay tuned with us on updates and don’t miss this chance if you cherish such an exciting farming opportunity. We know well we should eat more green foods and support sustainability but it’s easy to run out of ideas to excite our action. 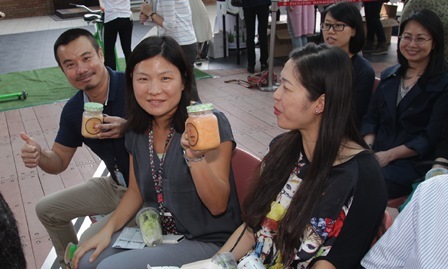 The ever-first ‘VeggieLicious’ event in PolyU campus probably offered a good catalyst. 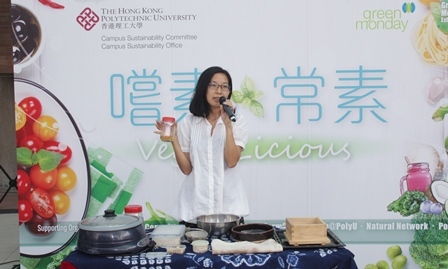 VeggieLicious was a veggie promotional event held with the joint efforts from the Campus Sustainability Office, Green Monday and various PolyU caterers on 25 November 2015. 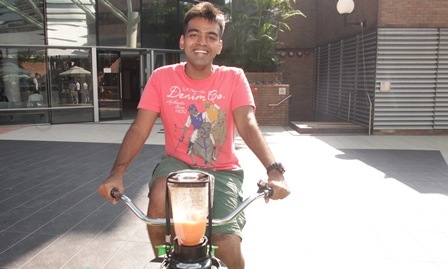 This carnival-alike event featured singing performance, organic homemade tofu demonstration, experience on riding smoothie-making bicycles and enjoyment of free salad cups. 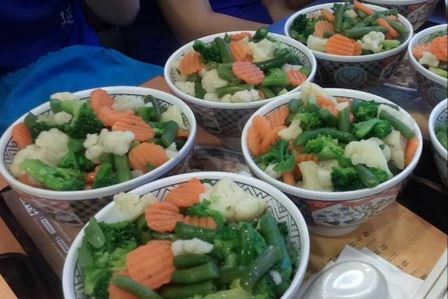 PolyU caterers were keen to support by showcasing their special green menus and offering special discounts upon their vegetarian dishes at their outlets. The event came to a satisfactory close and incited all participants to consider changing how they eat to make themselves and the planet healthy. Used clothing has been a favorite pick to crafters with ideas to produce new and useful household accessories. 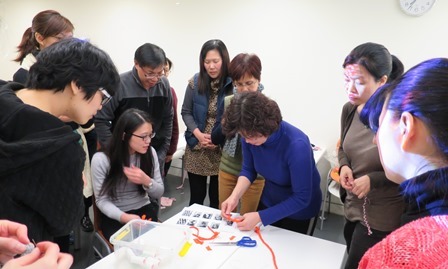 An upcycling workshop themed ‘Old Clothes Coaster Workshop’ was held in December 2015 for PolyU staff and students to try making nice coasters with very simple steps. 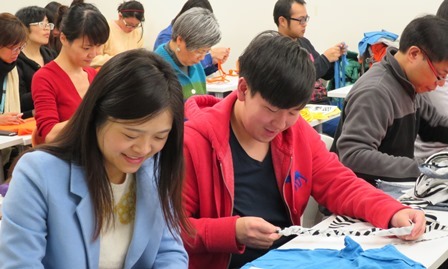 Tutors from Hong Kong Federation of Women’s Centers revealed their techniques of weaving coasters using braided strips of old clothes and creating a unique pattern by mixing different colors. The workshop was filled with laughter and enjoyment, and brought about a chance for the participants to stay a green Christmas by creating upcycling coasters for themselves and their peers. Feeling puzzled with so much unwanted and old stuff at home or office but they are still usable? They could be someone else’s treasures. 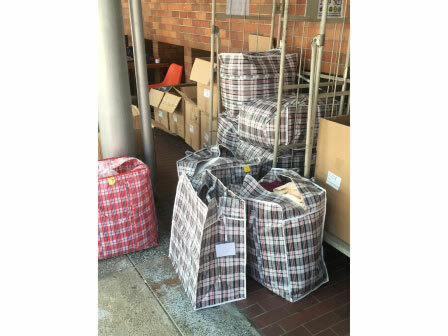 PolyU Staff Association and Community Recycling Coop co-organized the Used Item Collection Campaign in November 2015 which welcomed donation of used items such as electrical appliances, clothing, shoes, bags, stationery items, books, household goods and furniture from the PolyU community. Items collected will be given to the low-income families in the territory. In order to establish and strengthen a network of environmentally conscious colleagues who contribute in turning individual offices into a greener workplace, Green Officers (formerly known as Departmental Environmental Coordinators (DECs)) were appointed in each academic and non-academic department to look after environmental issues and promote environmental awareness at departmental level. The Campus Sustainability Office understands the needs of these Green Officers and is prepared to equipping them with suitable knowledge at work. 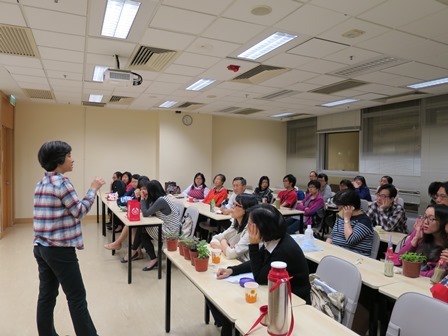 Briefing sessions were held in the first half of the new academic year in which they were given more information about the latest green initiatives and development of campus sustainability in PolyU as well as upcoming programmes for Green Officers. Green concepts and environmental friendly practices do not limit within the campus. 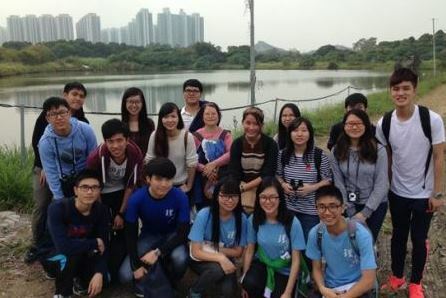 On 29 November 2015, students from the Department of Applied Biology and Chemical Technology (ABCT) joined Hong Chi Association in a meaningful organic fun day to reach out to the public. Objectives of this fun day was twofold; first, to promote organic farming and environmental practices, and second, to enhance the community acceptance for persons with intellectual disability. 20 booths were set up with activities to deliver a wide range of concepts including organic farming, energy saving, 3R and etc. A physical visit to the wetland area is probably the most effective and interesting way to learn a lesson on conservation. 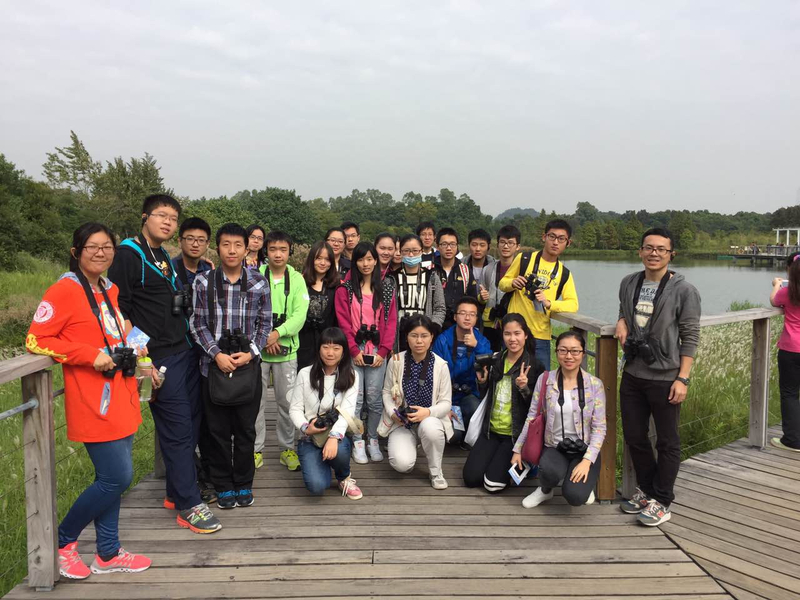 The Green Hall organized a visit to the Wetland Park on 28 Nov 2015 with a tour guided by a docent. Students were given the opportunity to appreciate the beauty of nature while simultaneously learn about wildlife habitats. It also raised their awareness of wetland conservation and enriched their knowledge of wetland ecosystems. The only source to knowledge is experience. 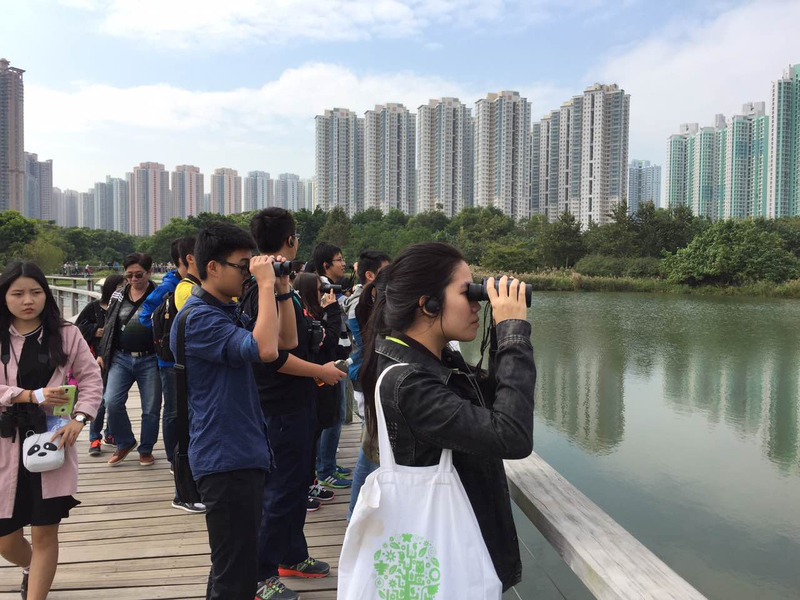 The Green Society, HKPUSU knows this well and is determined to promote students’ environmental awareness and enhance their ability in appreciating the nature through visits and trips. It has organized a series of activities in the past few months. 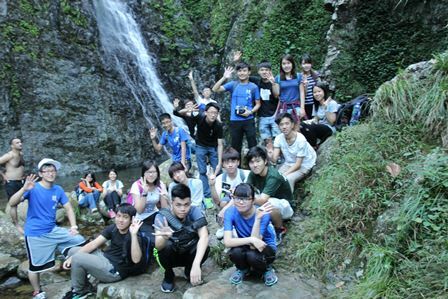 In October 2015, a visit to the Ng Tung Chai Waterfall was arranged, enabling students to experience and explore the best-known and biggest waterfall in Hong Kong which consists of four waterfalls at different altitudes. Another visit to Tsim Bei Tsui at Yuen Long was arranged on 23 December 2015. Tsim Bei Tsui is one of the best bird watching sites available in Hong Kong for a wide variety of resident and visiting species. 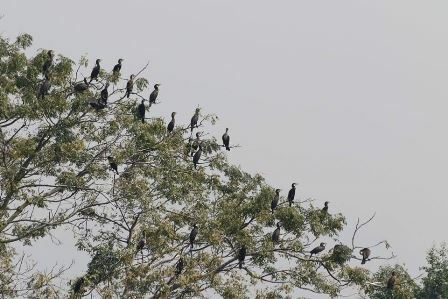 Most of the wetland birds recorded at Mai Po can also be seen there. More activities are being scheduled for its members including Green Barbeque, Barter party and Green Ambassador Scheme in the new year. The Green Society welcomes you all! 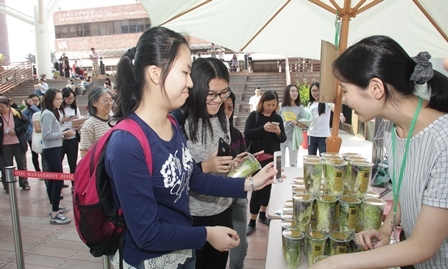 Campus Sustainability Weeks is organized annually by the Campus Sustainability Committee and Campus Sustainability Office to nurture ideas of green living to PolyU staff and students. It is an exquisite opportunity to gather and engage the entire PolyU community with a kaleidoscope of green practices, stimulating activities and free flow of ideas to jump into bigger sustainable steps. What will be included in this year’s Campus Sustainability Weeks and where to find them? Various workshops at different venues, exhibitions at PQ Wings from 14-24 March, tours and sharings embedding the theme of green living are being planned and to be kicked-off with an Opening Ceremony at Logo Square on 14 March. 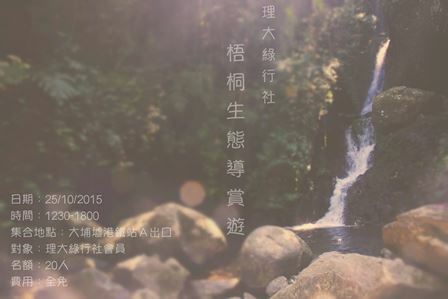 All PolyU staff and students are welcome to join. Still searching for a reason to go green? Stay tuned to check out updates from our website and Facebook for advices in why and how to keep a green campus, develop good environmental habits and join green activities as your individual behavior can have global impact. The upcoming Campus Sustainability Weeks 2016 will give you meaningful answers. Earth Hour 2016 will be held worldwide on 19 March at 8:30pm in local time zone by WWF (World Wildlife Fund). The first Earth Hour started on 31 March 2007, and since then it has engaged more and more individuals, businesses and communities with a commitment in turning their lights out for one hour on the day. 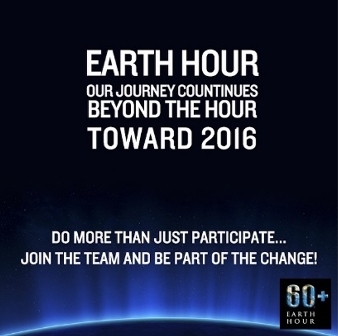 Marking the tenth year of this campaign, let’s join the Earth Hour 2016 and take action beyond the hour. Light switching is just the beginning in our journey to build a sustainable community and to protect the planet. "Out to Sea? The Plastic Garbage Project" is a thought-provoking exhibition at the Hong Kong Science Museum from 27 November 2015 to 17 February 2016. 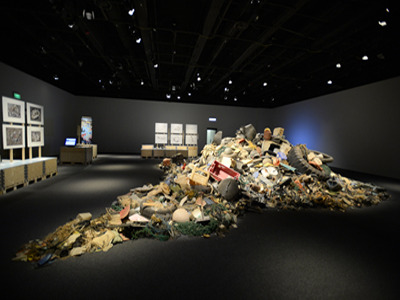 Various sections are included in the exhibition, such as A Nightmare at Sea, Plastic in the Sea, The Mermaid’s Tears, Plastic in Everyday Life, Plastic Ocean Theatre, and Plastic Sea Garbage in Hong Kong to show works of art using plastic rubbish. It is an opportunity for everyone to explore into the threats of plastic waste to the marine system with visual impact. 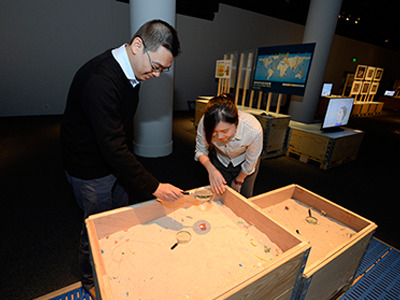 More information can be found at http://hk.science.museum/ms/ots2015/introduction.html. 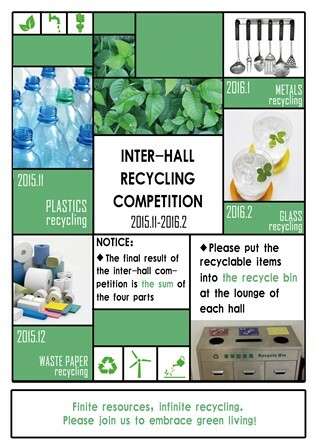 The Inter-hall Recycling Competition re-runs for its second time at Homantin Halls after its success last year, encouraging students to play an active role in waste reduction and shed lights on sustainable development of the society. It spans over four months and each month is devoted to collecting and recycling of one specific material type. Hall residents are encouraged to recycle the items in the corresponding recycle bins located at the lounge. Total weight of the recycled material of each hall is measured and a score is then awarded. A new rule is adopted this year to add more challenges and to promote proper recycling — the weight of recycled material for a hall is calculated as the total weight of the materials from the recycle bin minus twice the weight of the inappropriate items (e.g. food remnants, unwashed containers). Hall residents therefore have to be more careful and responsible and avoid discarding undesired items into the recycle bins. 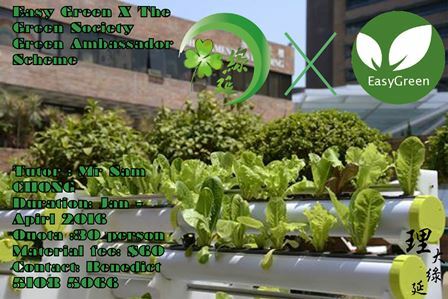 To encourage students to acquire the knowledge and develop their interests in growing vegetables, The Green Society, HKPUSU will launch the Green Ambassador Scheme soon together with Easy Green. 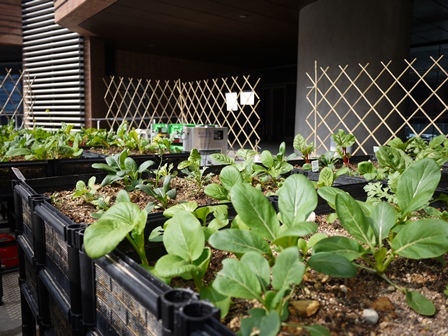 Students will have the chance to grow organic veggies like romaine lettuce, white cabbage, spinach, lettuce frisee (red) and butter lettuce based on a hydro-planting system (i.e., without the use of conventional soil). This makes planting easy and interesting, and they will be able to get high yields in a relatively short period of time. It’s sure to bring about a refreshing experience for participants. 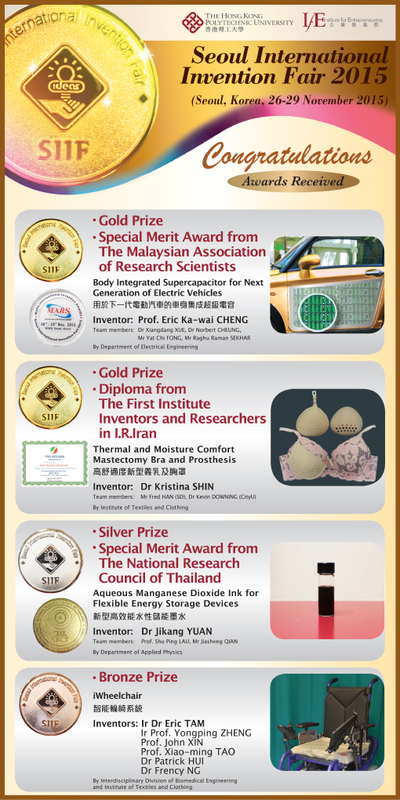 The Body Integrated Supercapacitor for Next Generation of Electric Vehicles invented by Professor Eric Ka-wai Cheng together with his team members of Department of Electric Engineering won the Gold Prize and Special Merit Award from The Malaysian Association of Research Scientists in the Seoul International Invention Fair 2015 held from 26 to 29 November 2015 at COEX Korea Exhibition Centre in Seoul, Korea where inventors and innovators from all over the world were invited to promote their inventions. Energy storage has long been the most critical challenge for electric vehicles or hybrid electric vehicles. Professor Cheng’s Body Integrated Supercapacitor enables manufacturers to make use of space in the car body to maximize energy storage. Special packaging and built-in power electronics technologies have also been developed to produce supercapacitor modules with new structure. As curved supercapacitor modules can be produced using the new technologies, supercapacitors can be integrated into car body panels, such as the roof, doors and the trunk lid. The new energy storage balancing technologies can reduce energy loss and the size of energy balancing circuits in the systems of energy storage devices. A series of related technologies such as charging and discharging control and connections with other energy storage systems were also developed. Due to such developments, the Body Integrated Supercapacitor is compatible with and applicable in various electric vehicles, thus making eco-friendly electric vehicles really ‘friendly’ for users and passengers. 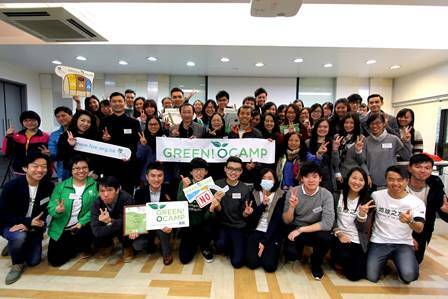 The Green Society of The Hong Kong Polytechnic University Students’ Union (HKPUSU) was highly praised for its orientation camp being elected as one of the five ‘Most Green O’ Camp’ in the second Green! O’ Camp Project organized by Friends of the Earth (HK). The Green Society ex-co members demonstrated their excellence and successfully reduced unnecessary wastage by not adopting any sponsored products in their orientation camp, and extended to encourage participants to have vegetarian meals to reduce carbon footprint. They have shown others how easy it could be to ‘go green’ and set a model for others to execute. The Green! O Camp Project ran from June to October 2015 to encourage university students to cherish food and water and reduce consumption of bottled drinks, waste and carbon footprint. It successfully engaged 7,500 university students to reduce over 5,000 disposable bottled drinks, 8,000 disposable tableware, 1,000 kg food waste and 2,800 pieces of A4 paper. At the same time, over 3,000 pieces of surplus O’Camp items were collected and distributed to those in need. The Green Society of HKPUSU received the “Most Green” O’ Camp award at the award presentation ceremony held on 19 December 2015. Two PolyU graduates of School of Design specializing in Industrial and Product Design, Jade Wong and Car Yeung, recently joined the St. James’ Settlement Jockey Club Upcycling Centre and worked on innovative upcycling projects together with rehabilitation members at the Centre. 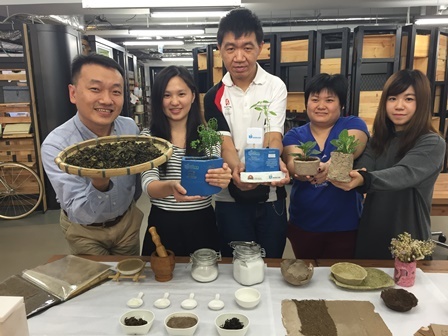 They turned commonly discarded waste such as used tea leaves, Chinese herbal medicine and rotten fruits into useful paper products and garden planters, and demonstrated how waste materials could be converted into new products of value. 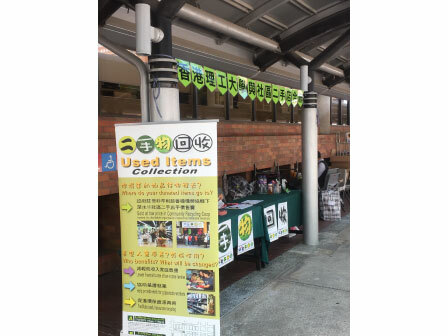 Funded by The Hong Kong Jockey Club Charities Trust, the St. James’ Settlement Jockey Club Upcycling Centre was officially launched in November 2015, to promote the concept of minimizing solid waste as well as driving the initiative of ‘upcycling’ in Hong Kong. More information about the St. James’ Settlement Jockey Club Upcycling Centre can be found at their Facebook page at https://www.facebook.com/SJSJCUpcycling/. 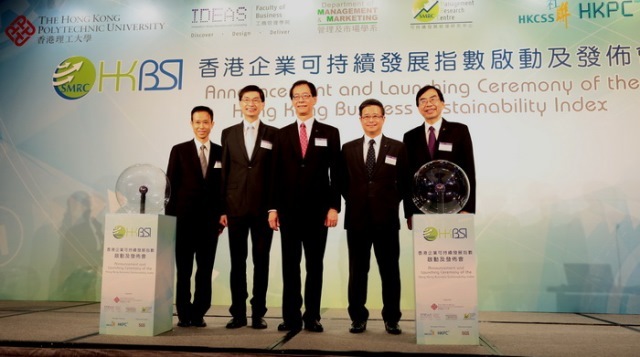 The Sustainability Management Research Centre of the Department of Management and Marketing at PolyU recently joined the Hong Kong Council of Social Services and Hong Kong Productivity Council to compile the Hong Kong Business Sustainability Index (HKBSI) to assess the level of business sustainability achieved by the leading listed companies in the Hong Kong stock market. It holistically assesses the performance of companies in their effort to be responsible and caring towards their stakeholders as well as their contribution to economic, social and environmental sustainability. It responded to the need that companies should also concern about social well-being and protect the environment apart from focusing on economic viability. More information about HKBSI can be found at the HKBSI website at http://www.polyu.edu.hk/mm/hkbsi/. PolyU’s Jockey Club Design Institute for Social Innovation (J.C.DISI) recently joins hands with Oi! Street Art Space in launching the experimental ‘XCHANGE: Social Gastronomy’ project in North Point. The objective of this project is to boost public’s awareness of sustainable development and nurture the spirit of green eating. With an open kitchen located at 12 Oil Street, they receive leftovers and food ingredients, canned and packaged food products collected from neighboring markets, and turn them into new dishes, drinks or new products. 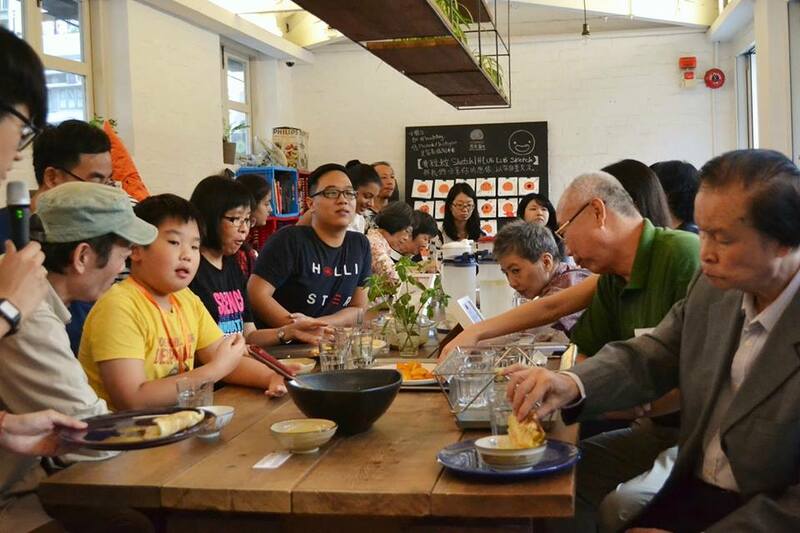 Through organizing various activities such as cooking classes and sharing of recipes, participants and members of the community are inspired to have more thoughts on how to eat wisely, and are encouraged to address food waste problem in Hong Kong from a new perspective. 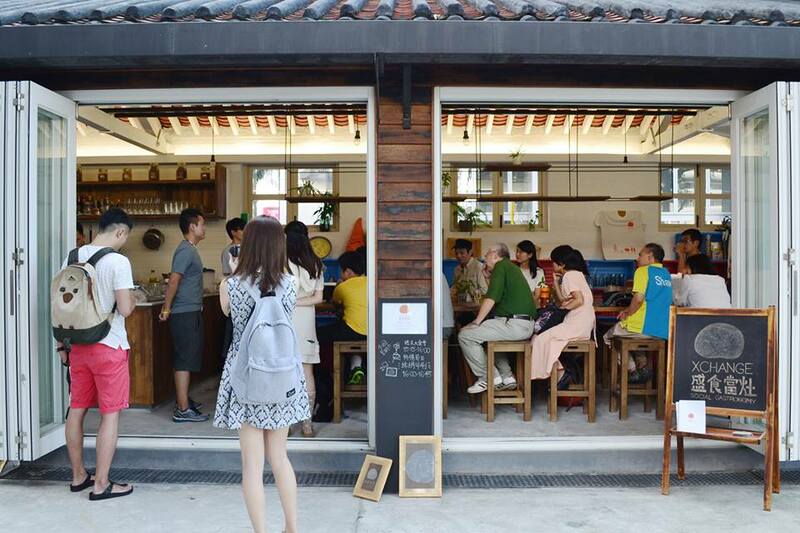 Please visit https://www.facebook.com/XCHANGE.socialgastronomy/ for more information about this project, its activities and related media coverage. The year 2015 witnesses some critical climatic risks and is itself a crucial year in the fight against climate change. The 21st session of the Conference of the Parties to the United Nations Framework Convention on Climate Change (COP21) took place from 30 November to 11 December 2015 in Paris, in which representatives from over 190 countries held various discussions in Paris with the aim to developing a new international climate change agreement which will lay the foundation for climate policy for decades to come. 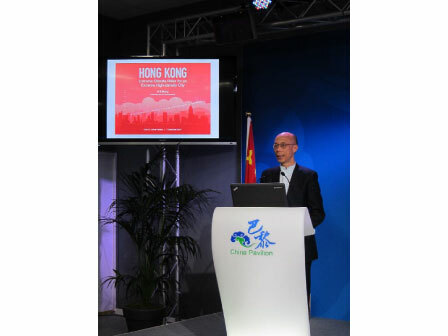 The Secretary for the Environment, Mr Wong Kam-sing, hosted a Hong Kong session at the China Pavilion at COP21 on December 7 2015, and noted that Hong Kong aims to develop as a low-carbon liveable city, with a new target of reducing Hong Kong's energy intensity by 40 per cent by 2025. 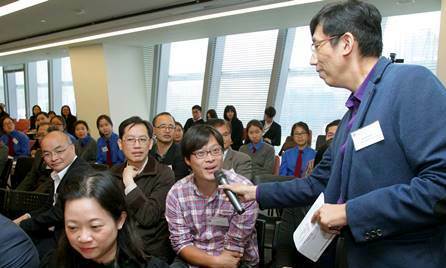 Please refer to http://www.info.gov.hk/gia/general/201512/08/P201512080268.htm for reportage on his speech and his presentation files. Besides, the Sustainable Innovation Forum (SIF15) was held on 7-8 December 2015 in conjunction with COP21, and was attended by cross-sector participants from business, Government, finance, UN, NGO and civil society to explore into issues such as clean and renewable energy, global warming, sustainable cities and sustainable urban mobility. More information can be found from the official website http://www.cop21paris.org/. The Hong Kong Climate Change Report 2015 was unveiled by the Environment Bureau on 6 November 2015 which outlined the Government’s work and joint efforts with dominant private-sector stakeholders in responding to climate change. The report revealed a comprehensive picture of Hong Kong’s contribution to substantially reduce carbon emissions as the population expands and emerging economies continue to develop rapidly. It elaborated on Hong Kong’s climate change policy and stressed that energy saving is to be made a core activity in Hong Kong, drawing attention and participation from all levels of the society. 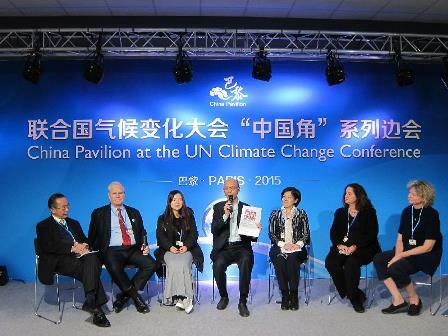 The full report can be accessed from http://www.enb.gov.hk/sites/default/files/pdf/ClimateChangeEng.pdf. 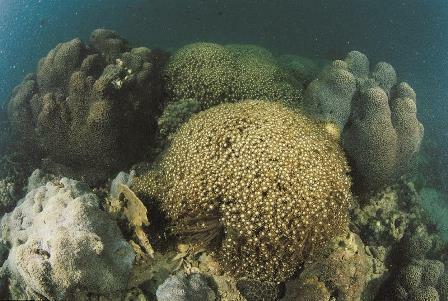 Some local citizens may not be aware of the annual survey of corals in Hong Kong since 2000 performed by the Agriculture, Fisheries and Conservation Department, but it is itself an important indicator of Hong Kong’s green life and a part of the global programme to promote sustainable management of coral reefs. It draws attention to the value of coral reefs and other Indicator Species, the threats to their health and the solutions to the problems. Reef Check 2015 conducted a 4-month exercise of surveying over 33 locations of best coral growing sites in Hong Kong from Tung Ping Chau in the north to Ninepin Groups in the south. Corals at these sites were reported to be in general healthy condition and the species diversity remains on the high side. Please refer to the detailed report released on 5 December 2015 with measures taken by the Department on coral conservation from http://goo.gl/HsM2Uh. The Environment & Conservation Fund (ECF) provides funding support to non-profit making organizations to launch projects that encourage citizens to achieve sustainable development through behavioral and lifestyle changes. 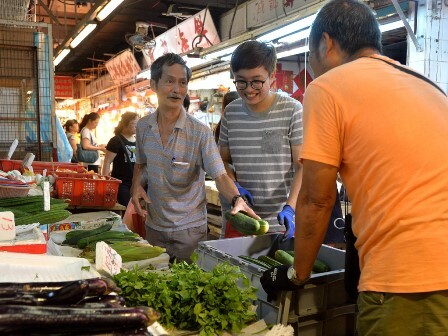 The New Life Psychiatric Rehabilitation Association received nearly $1.5 million from ECF to run a Community Waste Reduction Project in Kwai Chung and Tsuen Wan since June 2014 to bring about recovery of surplus food for distribution to those in need. Every evening staff and volunteers visit wet markets in these districts to collect fresh fruit and vegetables which are delivered to a warehouse for cleaning and finally be distributed to about 100 recipients the next day. Full story can be read from http://goo.gl/LVyhPi. New Life Psychiatric Rehabilitation Association staff and volunteers go to wet markets to collect surplus fruit and vegetables every evening. 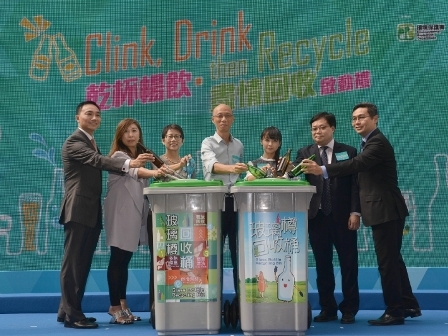 In view of the heavy amount of waste glass bottles generated in Hong Kong every day, the Environmental Protection Department (EPD) launched the ‘Clink, Drink then Recycle’ glass bottle recycling programme on 27 October 2015 to encourage restaurants and food premises located in 14 major local shopping malls and commercial buildings to lend their hands in glass bottle recycling. Participating cateries will help separate the waste glass bottles at source, store the bottles centrally until they are collected by EPD’s contractor and be delivered to local recyclers for further process. It is hoped that the staff at these restaurant operators will be educated with more knowledge on glass bottle recycling and change their work practice, while the general public will be made more aware of the green culture of ‘use less, waste less’. Details about this programme can be found at http://goo.gl/p9nwgu. Subsequent to the Government’s Climate Change Strategy and Action Agenda which pledged 2020 emissions would be 19-33% lower than 2005 levels, Greenpeace held the view that the Government was too conservative and Hong Kong must develop more long-term and more aggressive emissions reduction targets. In addition to emission control, it was commented that the Government listed no specific measures to achieve the energy-saving target. Greenpeace argued that owners of existing buildings should be encouraged to proactively implement energy efficiency measures and conduct energy adults, while Hong Kong should also seriously investigate into the possibilities to develop renewable energy for daily use such as decentralized solar power. Please refer to Greenpeace’s announcement on http://goo.gl/X7wueU. On 27 November 2015 when the world stayed up for the international campaign ‘Buy nothing Day’, Greenpeace announced its study on the amount of textiles discarded in Hong Kong over the past decade that the weight of discarded clothing averaged 100,000 tonnes annually. Greenpeace spokespersons urged the general public to acknowledge the impact that high consumption levels have on the environment, and unnecessary spending should be avoided. They opined that Hong Kong citizens should follow the footsteps of countries like Canada and Australia and adopt more environmentally-friendly consumption habits. More story about Greenpeace’s study can be found at http://goo.gl/S3YRYA. 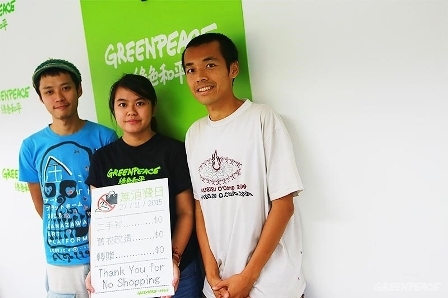 Greenpeace also called for promoting public awareness on committing the Pledge to reduce consumption which is shown on http://grnpc.org/IgSXI (Chinese version only). The University pledges to meet fully internationally recognized standards of personal data privacy protection, in complying with requirements of the Personal Data (Privacy) Ordinance. In doing so, the University will ensure compliance by our staff with the strictest standards of security and confidentiality. For details, please refer to the University Personal Data Statement. 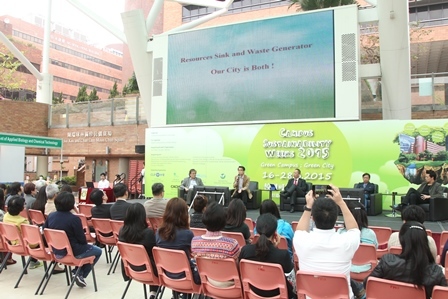 This e-newsletter is issued by Campus Sustainability Office (CSO), The Hong Kong Polytechnic University. © All rights reserved.